Thanks for writing me back and I want you to know that no friendship is an accident. I would rather walk with a friend in the dark, than alone in the light. Born: September 25, 1983 (age 32), Charlotte, North Carolina, U.S. Graduated from Parkrose Senior High School, Portland, Oregon in 1999. Test Engineer Course, USAF Test Pilot School, Edwards AFB, Calif.
Let me stop here for now, I expect an urgent respond from you soon. Thank you for your mail and am very happy for your interest, I hope you and your family are fine. Presently i am in Afghanistan at war zone for peace keeping mission due to the WAR crisis going on here in Afghanistan. appreciate the little things in life. One of the most beautiful qualities of true friendship is to understand and to be understood. A true friend advises justly, assists readily, adventures boldly, takes all patiently, defends courageously, and continues a friend unchangeable. However, out of the total fund my share was $ 4.700.000.00 (Four Million Seven Hundred Thousand USD), right now I am seeking your assistance to evacuate my share of the money, which is $ 4.700.000.00 to your place as quickly as possible, at the moment I am deeply afraid of losing the funds here due to the level of attacks everyday. I just want you to assure me that my funds will be safe in your care until I complete my service here by the end of 2016. Considering my position in the service, I keep the funds in a treasure box and deposited it to UN Security Agent office here as a documentary Video/ Photo Films Production and Equipment (Tagged as Diplomatic Pouch). I don't have bank account here and due to my position in services, I can not transfer the fund because all our activities are monitored. Also our military communication here are only radio message and internet facilities. We don't use phones so I can not communicate with you on phones but we can only communicate through emails. I need your urgent assistance and as you assist me receive the fund, I shall be compensating you with 30% of the total fund, while the remaining balance shall be my investment capital in your Country which will still be under your control until I meet you. Dear, I don't have any family, I lost my parents in car accident one morning when i was 8 years old, after the death of my family I live with my Uncle who is a military general but he died in Syria chemical weapons attack on 20th August 2013 in Syria. dangerous for me considering my position in services. Thanks for your mail. I read your mail with happiness and thanks for your understanding, the most important thing i need from you is your honesty as the funds will be on your care until i join you, I believe you will not and never betrayed me. Dear, I hope I have made everything cleared to you and I believe I am save in your hand, no body knows about this matter, PLEASE i am asking you for my safety to KEEP this matter AS TOP SECRET between us. office as to enable them deliver the treasure box to your house through their official diplomat. (9) Your nearest international airport. Dear, do not worry for any risk of receiving the box in your house, the UN diplomats are professionals and they perfectly trained for this diplomatic assignment. Please every arrangement towards this matter is intact between both of us and on no account should you expose this information to anyone, I will like you to follow my instruction to avoid any mistake until the treasure box arrive to you in your house. Dear, upon your reply with your above listed details, i will contact and forward your details to the UN security Agent office to enable them proceed the delivering of the treasure box hand to hand (Face to Face) to your house. Looking forward to read from you. Take good care of yourself and remain blessed. Thanks for your quick respond, I do receive your full details, I appreciate your concern towards receiving this box in your place, I am just coming back from UN Security Agent office here for the submitting of your details for them to deliver the box to you immediately without wasting any further time, but I was not happy over the news I got from them, the UN Red Cross Security Agent office sent the box to an insurance security company in United Kingdom for safe keeping due to the gravity of attack and crisis here on daily basis. Right now, I want you to contact this mentioned Security company in United Kingdom with below details given by UN Red Cross Security Agent office. Please try and contact them immediately. 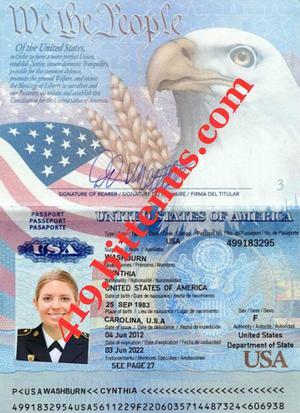 When you contact the insurance company, tell them you are the partner of (US Military officer Capt. Cynthia Washburn) and you want to know the possibility of delivering a consignment box contains family items of Capt. Cynthia Washburn to your country. I will also send them an email, I want you to understand that the funds inside the consignment will be under your control until I join you soon. I need us to build up this deal in an atmosphere of trust between ourselves. You do not know how much smile the content of your mail has brought to me today, and I want to let you know that you would never regret assisting me in this deal, I am a woman of my words, and I love sticking to my words. For security of the funds, do not allow the Security company or the person who is coming to deliver the box to your house to notice that the treasure box contains funds inside, please keep everything for yourself because everything concerning this consignment box is intact between us and on no account should you expose this information to anyone. Do keep me updated as soon as you have contacted this Control Risks Security Company and don't forget to tell them that you are the partner of Capt. Cynthia Washburn. On behalf of the management of CONTROL RISKS SECURITY COMPANY, I hereby verify and confirm the Deposit of Capt. 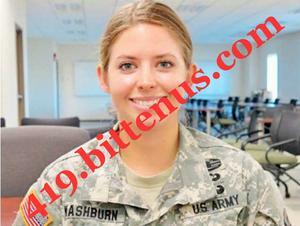 Cynthia Washburn correct in our customer Database which is purposely for delivery to your care. We are pleased to inform you that your request has been granted. And CONTROL RISKS SECURITY COMPANY, would like you to know that it would be our pleasure to be able to provide you our expert services. We wish to inform you that every onward arrangement have been put in placed already to ensure a successful delivering of the box to your nominated home address. Note that this box was deposited by UN Security Agent office authorities on behalf of Capt. Cynthia Washburn under high premium insurance policy as a diplomatic Pouch that is why we are going to deliver it to you through diplomatic system of delivery to avoid confiscation of the box by your country airport authorities. An arrangement has been made with International Parcel Service Delivery and they have accepted to use their office as a means of transporting this box to you over there in your country. Having received your information from your partner and hereby confirmed all your data submitted to us to be intact for the delivery. 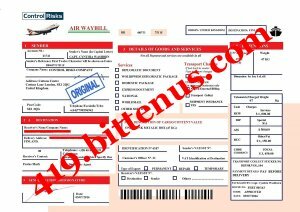 Attached is the Airway Bill which you must pay before we lift the consignment box to your country. Be it known to you, that you have to pay for the custom Clearing charges and also the cost of delivery to enable the diplomat agent clear the consignment from the custom office in your country airport. Upon the receipt of these Payment, we shall proceed with other external processes that will lead to the delivering of the consignment box to your home within 3 days. Once the payment is made we will like you to send us the payment slip for confirmation and record keeping purposes. Thank you for your cooperation as our customer's satisfaction is our pride. Once the payment is made we will like you to send us the payment slip for confirmation and record keeping purposes. Thank you for your cooperation as our customer's satisfaction is our pride.